Can’t bear to spend hundreds of dollars on designer sportswear? Here are some (legit) affordable finds from Taobao. No fake logos or Rululemonz, we promise. A top, sports bra and shorts (or tights) for 39 yuan (8 SGD)? Gotta love Taobao. A simple sports bra which can be used for a variety of sports. Other sports bra options here, here and here. A cute sports bra with interesting strap details. The best part? It’s only 69 yuan (14 SGD). High-waisted yoga tights with interesting cut-out details. The sizing runs quite small though, so skip this if you have larger hips. A classic fitted tee for yoga or running. Comes in dark grey, light grey, black, pink, purple and light blue. OK if we’re being completely honest here, this looks suspiciously like a Lululemon-type bra top…but it doesn’t have any weird fake logos on it, so you’re good. A long-sleeve rash guard for diving or surfing. The matching tights are available as well, but some of the designs are quite…strange. So yeah, not listing them here. 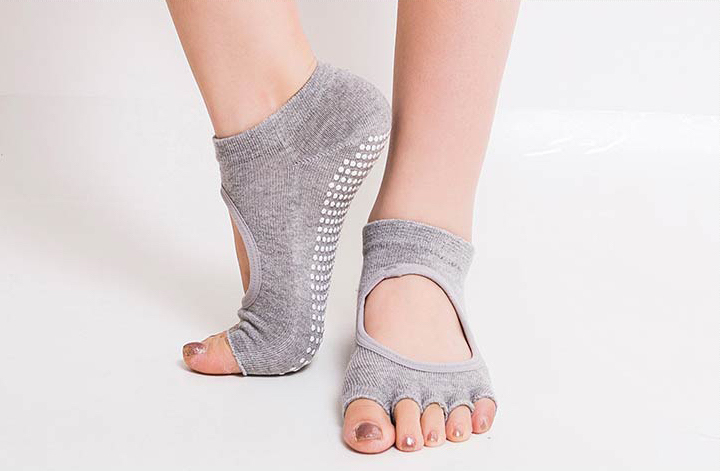 Anti-slip socks to give you a better grip on the ground during yoga, or when you’re working out barefoot. 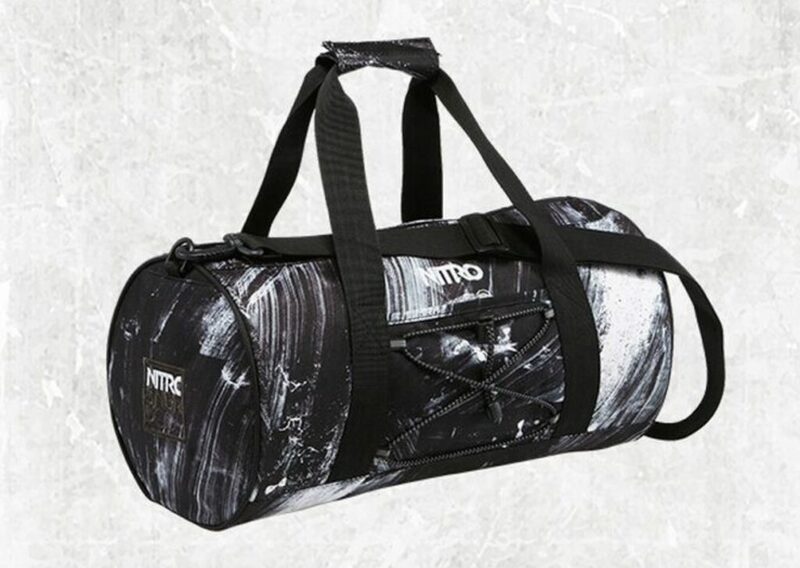 A roomy gym bag with compartments for your shoes, phone and wallet. 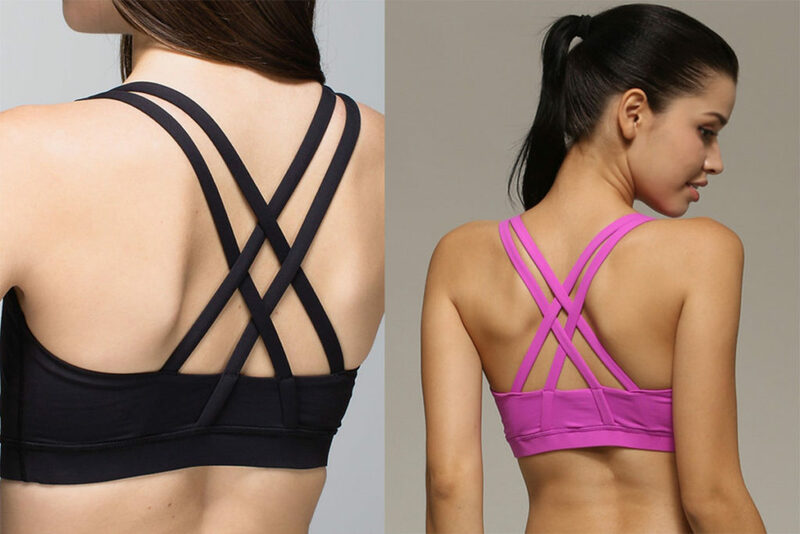 名品 优选: Good for workout basics like sports bras, running shorts and dance wear. The styles are quite basic (nothing #fashunz if you know what I mean), but most of the items are 79 yuan (16 SGD) and below, so can’t really complain eh? enaier旗舰店: A bit pricey for Taobao, but they have a good selection of stylish yoga tops, tights and sports bras. 玛雅健身 进入店铺: Great for affordable yoga wear, running tights and sports bras ranging between 49 yuan to 68 yuan (10 to 14 SGD). Some of the items are a bit uh, questionable (like this or this #whuttt) but there is a wide variety of styles available, so you can probably find some good basics there. 南极人风靡专卖店: This store doesn’t really seem to have much sportswear, but they do have a selection of undergarments – so you can probably find some neat sports bras here. They also sell other types of bras, from the no-wire type to stick-ons (otherwise known as chicken cutlets). 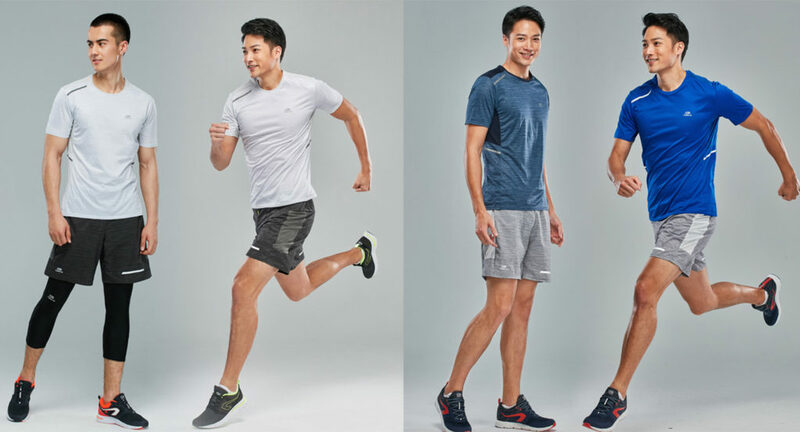 Quick-dry gym co-ordinates that come in a variety of styles, from tank tops to gym shorts. 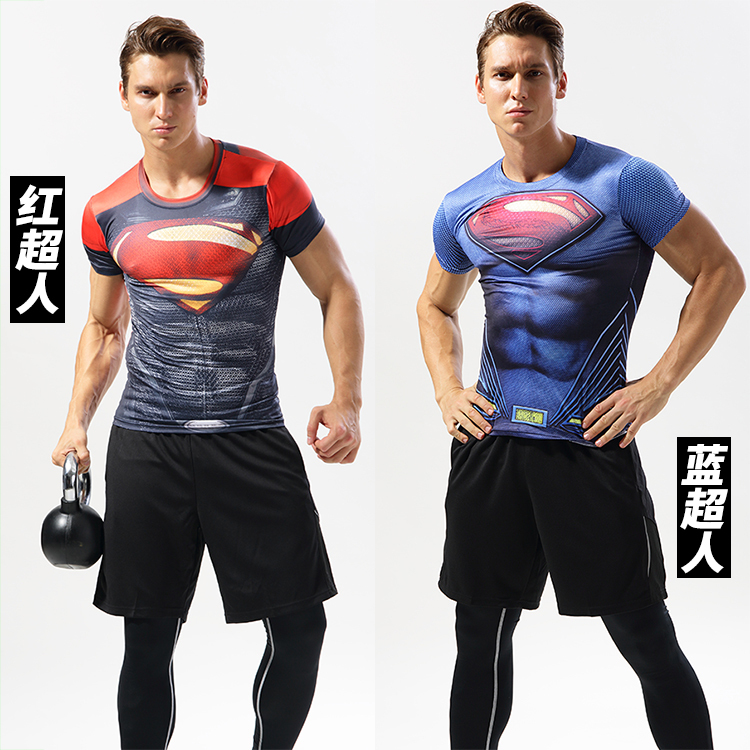 They also have a Spiderman and Superman (complete with fake printed abs) gym top available, because…why not? 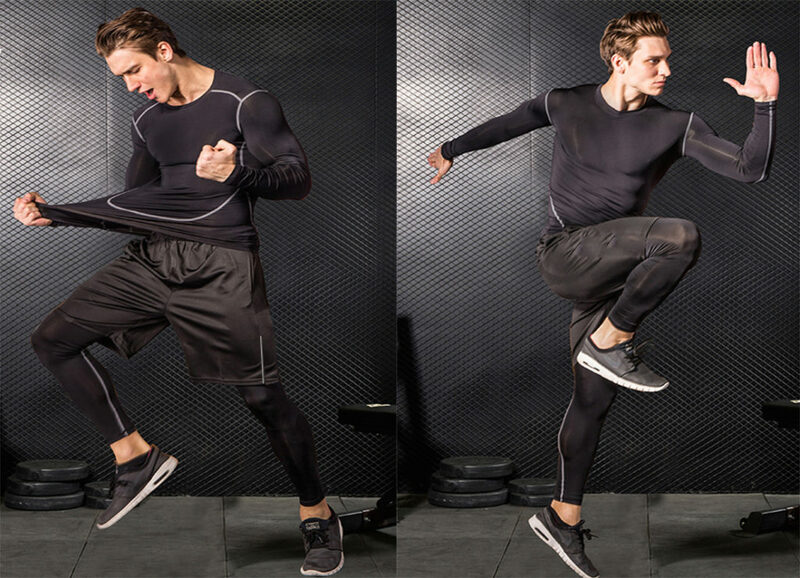 Basic gym shorts in a breathable fabric. Perfect for running or working out at the gym. Other options here, here and here. A classic fitted workout top in a quick-drying fabric. Comes in a variety of colour combinations. 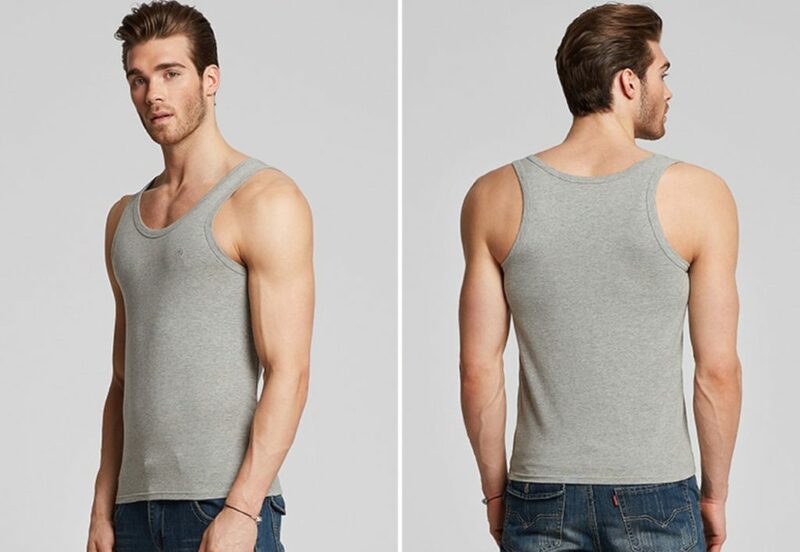 A basic tank top in a light and stretchy fabric, for those who want to keep cool while working out. Biceps not included though. 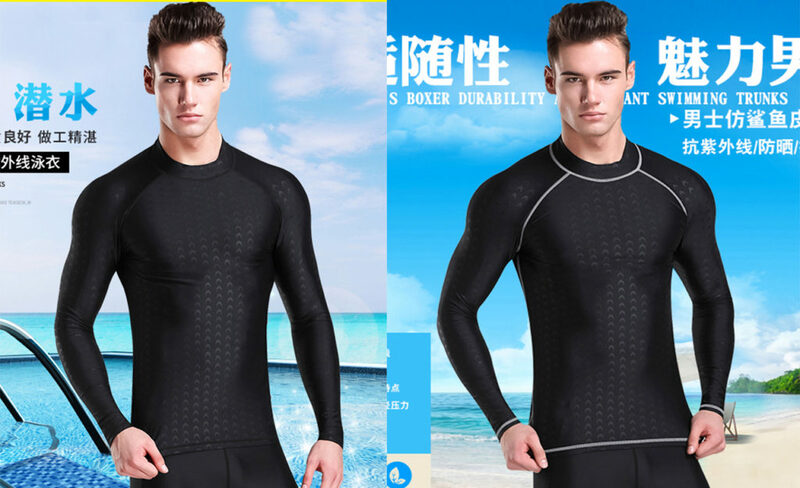 A black rash guard for diving or surfing. Available for women as well. 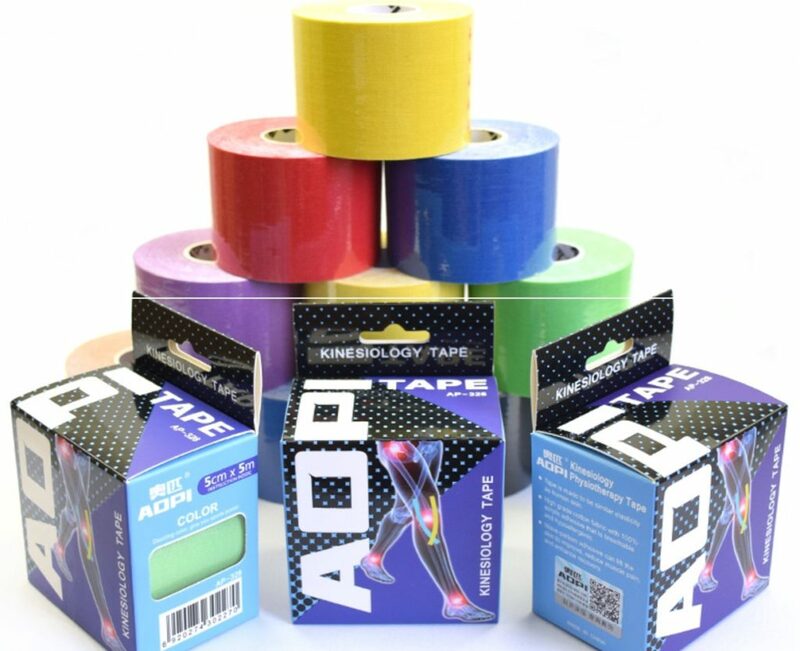 Adhesive tape for relieving muscle discomfort while doing sports. Comes in a variety of colours, such as black, white, beige, purple, pink and blue. 迪卡侬旗舰店: Has a wide selection of gym gear for both men and women, ranging from affordable basics to the pricier high-tech stuff. 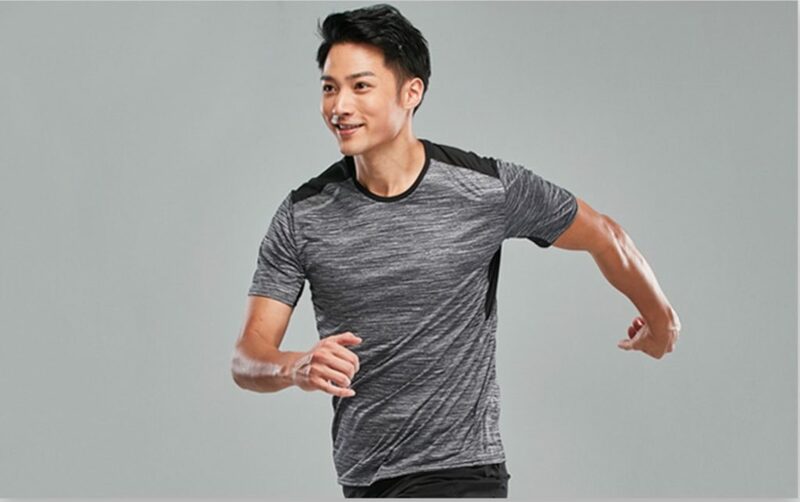 d[s508602673]: Offers a variety of Li-Ning gym gear and shoes. The clothes are pretty reasonably-priced, with most ranging from 40 yuan to 75 yuan (8 to 15 SGD). 飞鱼运动户外专营店: A good place to find gear for water sports, such as diving or swimming.